Today we celebrate the Rebirth of Florida Tobacco and the hard work that has gone in to creating the Florida Sun Grown by Drew Estate. 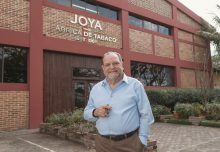 Not since the 1970’s has tobacco been grown for premium hand-rolled cigars in the Florida Region. Pioneer Jeff Boryciewicz, owner of Corona Cigar Company, started the Florida Sun Grown Farm in Clermont, FL in 2012. 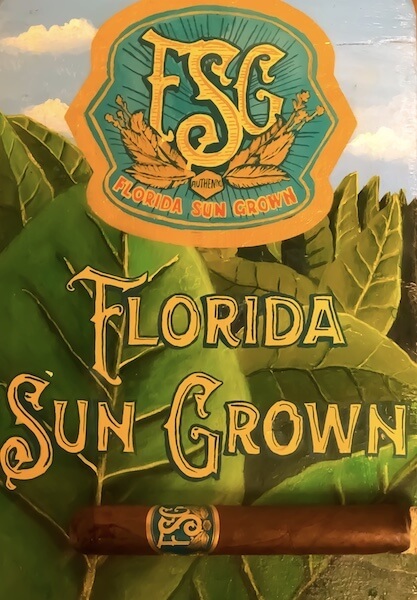 Fast forward five years and the Florida Sun Grown is now available across the nation in DDRP retailers. The Florida tobacco is some of the most delicious and unique tasting tobacco available today. Combining the FSG tobacco with a lush Brazilian wrapper, the Florida Sun Grown by Drew Estate is complex with natural tobacco sweetness. Don’t forget about the Limited Edition Trunk Press toro! This limited edition size features its own unique blend, which utilizes a Connecticut Broadleaf wrapper, Mexican binder, and Florida Sun Grown filler tobacco, along with fillers from Nicaragua and Honduras. A whole new way to experience the Florida tobacco! 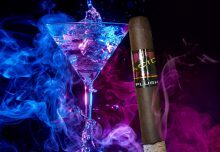 To celebrate this cigar is time for a contest! 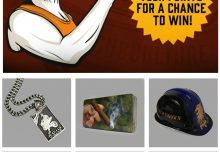 Everyone who smokes a Florida Sun Grown cigar and posts it on Facebook, Instagram, or Twitter using the hashtags #FloridaSunGrown and #FSGSweeps will be entered. Enter as often as you like. 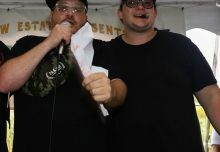 The winner will receive this hand painted FSG Cigar Mold by Subculture Studios! The contest will end on Thursday 11/23 at 11:59pm and the winner will be announced on 11/24 at 12:00pm. Contest sponsored by SWI-DE, LLC 12415 SW 136th Ave., Suite 7, Miami, FL 33186. Odds of winning depend on number of entries during the respective period leading up to each Drawing Date. Taxes and fees, if any, are the responsibility of the winner. Employees of SWI-DE, LLC are ineligible. This contest is void where prohibited by law and subject to local, state and federal law. To enter, follow the steps listed above. Incomplete entries will be disqualified. The contest ends November 23, 2017 at 11:59 PM EST. No purchase necessary. Winners will be notified via social media within 48 hours of the drawing date. Winners must respond within 7 days to claim prize.